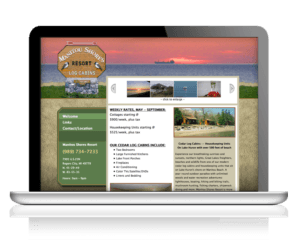 Owners Colleen and Bruce Grant asked Future Media Corporation to design a website that depicts Manitou Shores Resort as the unique four-seasons vacation destination that it honestly is. 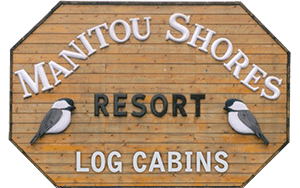 The site includes a virtual tour of the exquisite log cottages and housekeeping units, and dozens of images of the first-class resort that sits on the Swan Bay shore of beautiful Lake Huron, seven miles north of Rogers City MI, and an hour south of Mackinaw City. The new budget-conscious site started reporting downloads immediately by vacationers looking for the class, beauty and serenity found at Manitou Shores Resort in any weather and in any season.